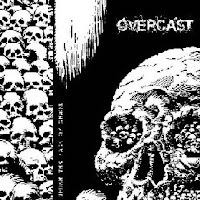 What if Carcass didn't turn so melodic after "Necroticism"? How would they sound like? Probably just like how Impaled sounds. The band was formed in the mid '90s, and their desperate gore and horror addiction (and of course boundless Carcass fanatism) turned them to a replica band of their main influence. Similar themes, the same vocal style and concept. Their music was simpler, lies closer to old school death metal instead if sympathizing much with grindcore, though they often operated with short extreme speed ups. They didn't merge so deep into medical books and Latin dictionaries, but instead of the serious clinical aspect there is dark and morbid humor to entertain the bloodthirsty listener. So while in the case of Carcass the ultimate sickness was represented in musical themes too on the side of the sound and the concept, Impaled tried to compense the lack of the first one by the lyrics. 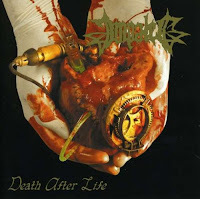 Impaled's music might cause enjoyable moments for the fans of gore and medical horror, and also an excellent choise if someone needs some old Carcass nostalgia. Even though the once legendary Floridan scene is already history, it didn't disappear completely. Some good bands showing up from time to time, but of course not in the same amount like before. Divine Empire was always known about their affection to raw brutality and insane speed. 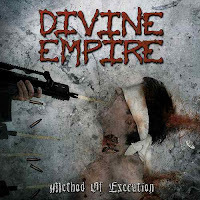 By their latest album "Method of Execution" the band arrived to the top of their musical ambitions and did something extraordinary. It was the same compromiseless intense death metal massacre that was usual from the band, but by paying more attention, some new features could be discovered that made their music more colorful. Their themes became a bit more diverse and they experimented with involving other styles. For instance the classic orchestra in the first song may not seem to serve more than a dramatic start. But when instrumental latin harmonies appearing in a prelude song and the same line they continued by invloving into "Storm of Hatred", it's reasonable to think about something else than a simple contrast play. Occasionally interrupting short heavy metal solos in the middle of a brutal death hammering might sound refreshing, but also uncommon. Not to mention the closing instrumental song that may better fit to some stoner rock album. By these and other tiny parts they made "Method of Execution" enjoyable and more entertaining than it could be expected form a brutal death band. And the band did this without turning progressive or technical, so these acts couldn't serve as references to the late came trends of extreme metal. It seemed like metal music totally avoided France. While some stabile underground scene - smaller or larger - formed in almost all surrounding countries, except a few bands there was literally nothing. But the situation fortunately changed, and plenty of high quality productions showed up from the '00s. 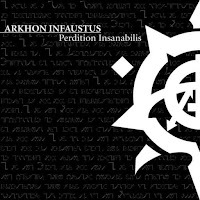 Arkhon Infaustus catched the current main tendencies of the extreme scene already by their debut by playing a genuine style of black/death. While there are exact directions in this style and some common alternative options of turning technical or involving other unusual inflences, they showed another aspect by staying at the basics. Their music definitely counts as a modern sound of black/death with excellent quality, but they liked to experiment with themes and song structures. Even though the album is extremely dark, heavy and intense and may not come in mind in the case of selecting some chilling sunday afternoon background music after a satisfying lunch, it's not so hard to get into exactly because of the diverse themes they've operated with. It could totally bond the attention of the listener what uncommon musical brutality they will perform next time. The sound is definitely like in death metal, but the way how they made their own mix of black and death makes hard to distunguish the features of the two styles. And in this case not because of the old school tendencies, it's a modern fusion that created a common ground. Strongly recommended material! 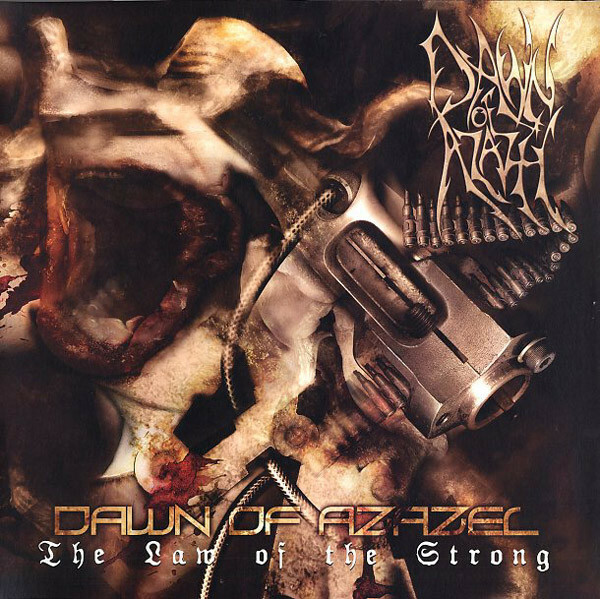 A modern and genuine perspective of death metal was introduced by the debut of Dawn of Azazel, that didn't fit to the long line of brutal and technical death albums of the '00s. The raw aggressiveness of "The Law of the Strong" reminded to the late came brutal death bands, but they liked to experiment with themes without becoming technical. It wasn't only about brutality or chaotic and sudden changes for effectiveness, it was the introduction of chaos and disharmony itself. The band tried to do this in various ways, so the album might be able to show something new after more listenings too. Modern and old school themes and song structures exchanging each other, seems like randomly, but the songs are well composed. The vocal style and the heavy sound reminds to Necroticism by Carcass, and the endlessly insane main impression refers back to that classic too somehow, even though the band operated with a different musical toolbar. The album could have plenty of surprises for the listener by it's exaggerated sound, but it's intensity and very aggressive tone is the most remarkable. There are two possible outcomes if Japanese starting to play metal: they chosing an old school path that refers back to the basics of the actual genre, or they mixing various genres to create something weird. 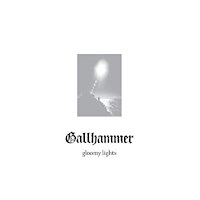 The second happened in the case of Gallhammer, a band that also sparked attention because of it's female lineup. Basicly their main concept is about simplicity. In this case there could be more ways to determine the style of a band than if an exact direction with it's features was chosen, so it's quite objective. The influence of black and doom metal could be sensed in their music and that's already something uncommon to hear in general. 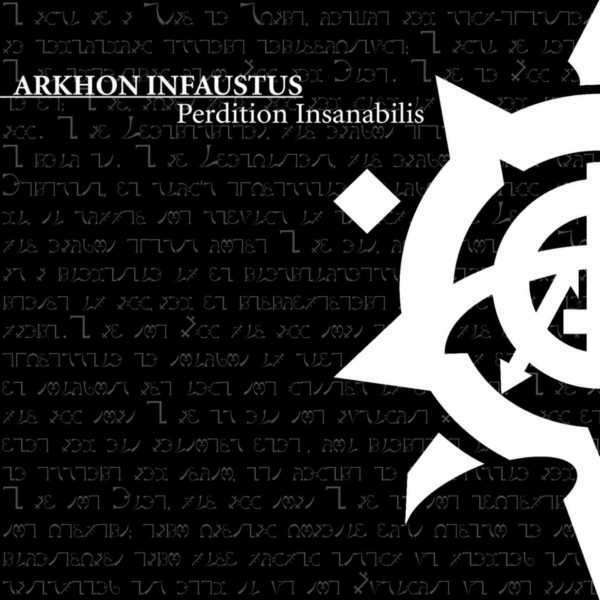 Things getting more complicated when the album turns more intense by some raw middle speed crust punk-like themes. They've operated with the simplest basic themes by picking something from everything. The album isn't so uninfied and sounds like if they didn't relly care about to create a whole by trying to find some common ground for these mixed influences. Instead of the atmospheric sound of black, the heaviness of doom or the intensiveness of crust punk there is something that more reminds to the desolated impression of early grunge and sludge bands. A frustrated atmosphere that becomes heavy by self-destruction and randomly shows it's hidden inner rage. 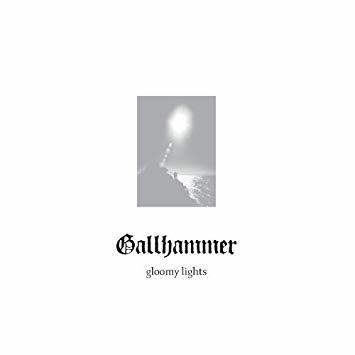 "Gloomy Lights" sounds the same way depressive, chaotic and insane. The very sick vocal style and the rehearsal room sound just increased it's rawness and effectiveness. An interesting aspect of musickness! Neochrome introduced a genuine mix of black and death metal by their debut. By this album they didn't only close up to the actual trends of the main underground scene of the early '00s, but the band was also able to show a different perspective. Black metal slowly conquered the whole extreme scene, and appeared in plenty of mainstrem forms too. Neochrome's music was strongly influenced by these tendencies, and only a few characteristics remained that are not allowing to sort them to the lately formed black metal bands. One of these is their uncommon song structures, that are more reminding to technical death by their complexity and sudden changes, even though they tried to stay between the borders of black metal by their guitar themes. However the mixed influences are getting revealed with time, and the sound shows other alternatives too. Even the bass lines are quite complex, but already the fact itself that the bass could be heard in black metal would count as something extraordinary. The main view is chaotic, and not so easy to go into. The lyrics are definitely fit to the musical chaos by their mostly philosophical topics and social criticism. For the misanthropic and other personal issues the corruption of everydays life was found responsible. The individual struggle that was illustrated by the lyrical and musical complexity together, somehow reminds to the late technical period of Death. A raw, and interesting presentation of the modern sound of musical extremity. Just as many newer bands of the Swedish underground sene, Mordant also desired to reinterpret the sound of the '80s by their own taste. Though the band existed since a while already, it took long until their first full-lenght release. 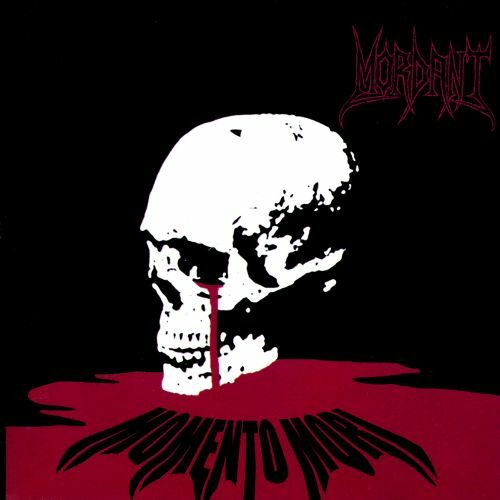 Mordant focused on a raw and primitive rehearsal sound of blackening thrash metal, that could be imagined as a direct next step after Venom. Their second demo "Suicide Slaughter" was already widely distributed, so it gave a hint for the audience what could be expected from the band. The same line they continued on "Memento Mori", that included plenty of catchy themes too that referred to classical heavy metal. On the side of the music style, the lyrical concept also took the same direction by directly satanic lyrics. These are the same simple and primitive like the music, and may sound immature. But the main concept is unified like that, and sounds enough authentic if a band wants to summon the feeling of the '80s. Bands who sympathized with the Dark Lord, just sounded like that and even though they couldn't be taken seriously, their music had it's overwhelming feeling by it's simplicity. "Memento Mori" is able to cause enjoyable moments for the fans of dark '80s metal nostalgia. Sasquatch was formed as a very authentic stoner band at the most ideal location for this genre. By their heavy riffings they gave a good example how stoner rock in high quality should sound like. The usual '70s influences are waving back in their music on the side of the old stoner rock classics. The heavy sound they've operated with is mainly referring to early Kyuss. The psychedelic flotation had less role in their music, they focused more on to sound badass and to pile up many catchy themes to increase the chance of musical catharsis. 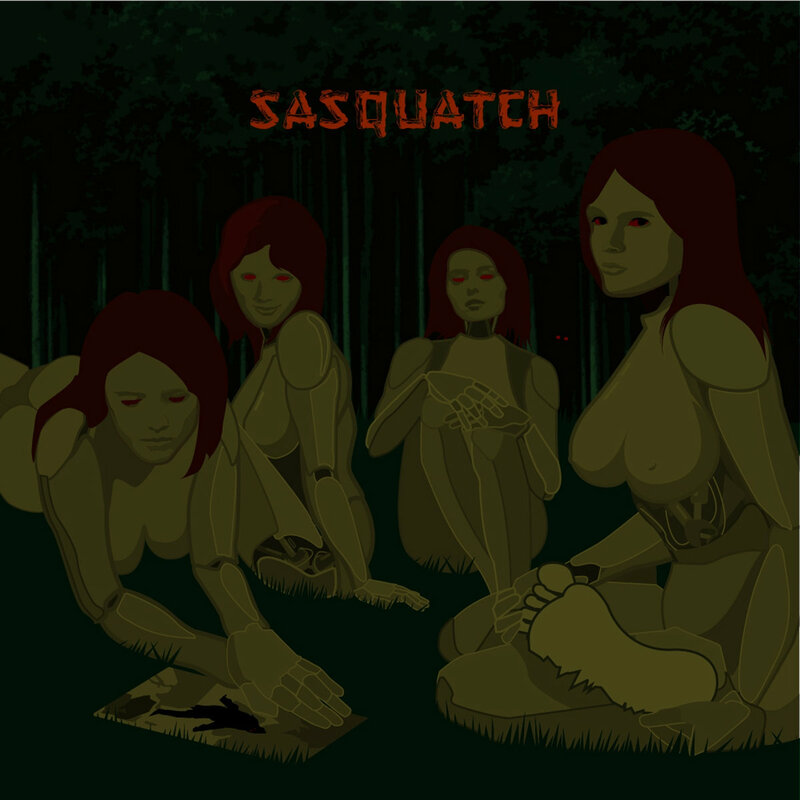 In general Sasquatch's music is free from any kind of melancholic or negative effects, and not necessarily expects high level of self-destruction either. There are no weak points to find, the album is enjoyable in full-lenght. The only mentionable difference compared to the oldies of the genre is the better sound quality. It's rare to find bands who showed with such a stunning debut, and by an already well developed sound. They didn't change much during the decades, Sasquatch keeps playing in the same excellent quality since today. Highly recommended material for stoner fans! From the late '00s more and more bands showed up with such an old school style that reminded so much to the extreme scenes of the '80s and early 90s, that only their sound quality was a suspicious sign. At the beginning of the decade similar bands were more rare and less successful, but they could count as their forerunners. Overcast guides the listener for a time travel back to the '80s by their traditional old school thrashing. In their music the influences of the Bay Area and the German thrash scenes could be sensed the most. They preferred to stay at a less aggressive sound, but therefore they created more complex song structures. By the latest move they avoided the monotone effect of their music, but it became less unified the same way too. Plenty of theme changes and catchy melodies are interrupting the fast speed that their music dictated. With fresh, modern sound quality, but by following the old recipes they introduced the wildest musical manifestation of social criticism. For fans who find enjoyable the mix of the '80s style and the more technical metal, "Under the Face of Chaos" is strongly recommended. Would a unified musical composition had sense in the case of chaos? It's the listener's job to decide. 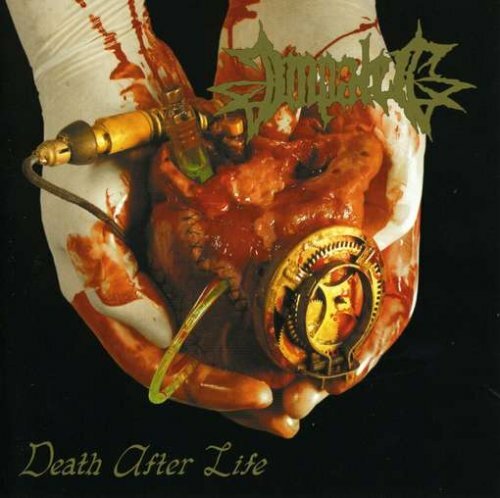 Sufferage became known as a brutal death metal band with modern sound and serious message, like it was usual at newbies who preferred to step through the ordinary sound of death. But for a start they followed the classical concept of the style. Demons, gore, cannibalism... So familiar and nostalgic topics aren't they? Inspirations came by horror classics. Things that are seemed to disappear from the modern sound of death in the early '00s, when similar productions were so rare anyway. But "Raw Meat Experience" guides back the listener to the basics of the exaggerated musical features by it's excellent quality, intense speed, heavy sound and completely insane growlings. And probably nobody would expect only by hearing that these animalistic growls came out from a woman's throat. The whole album is very enjoyable not only because of it's raw brutality and extreme intensity, but it's also well composed, and includes loads of great themes. Even though "Raw Meat Experience" was high quality all-round, and could be compared only to the biggest names of the genre, it was barely known and underrated. Similar productions rarely showing up in general. Secretum was a German thrash/death metal band from Berlin, formed in the late '90s. 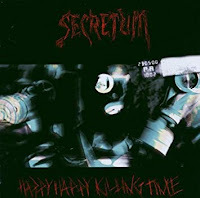 Their full-lenght debut "Happy Happy Killing Time" was a good example how old school style of metal took modern form and sound. Even though the influences of the band are evident, there is something more through the nostalgic feeling that made their music different from the style of the late '80s' and therefore actual for the early '00s. Secretum wrote their themes with more flexibility and that may sound like experimenting compared to other ordinary bands in this style. On the side of the aggressiveness and the speed there are more diverse themes than usual. Even though it's not really possible to do anyhing new on this line, there is a large palette of influences. So the best thing that good musicians can do is to select wisely. The lyrics also followed the partly traditional but the same way proceeding ambitions. It's not the same social critics with some political touch like over a decade ago, there is strong sarcasm too and a grotesque and morbid aspect performed by a quite insane vocal style. The intensiveness and the diversity made the album enjoyable for long term.